John Wesley Furman and his wife, Emma, start Furman Foods. First year production was 360 glass jars of tomatoes - canned by J.W., Emma and their six children. The first frame building was constructed for canning equipment. Peas, beans, corn, and mixed vegetables were added to the Furman line. The 2nd generation of Furmans runs the family business with the formation of J.W. Furman cannery and expands operations to add industrial-size cans for foodservice. The Furmano's brand of Italian and tomato products was established when a New York broker suggested that adding an "o" to the family name would make the brand sound more Italian. The 3rd generation of Furmans join the family business. 1,000,000 cases of tomatoes are sold - a long held family goal. The company changes its name to Furman Foods, Inc. and begins construction on a multi-million dollar state-of-the-science manufacturing plant. The 4th generation of Furmans join the business. Furman Foods celebrates its 75th anniversary! Family Favorites, ready-to-use foodservice products, introduced to the line. Furmano's celebrates its 85th anniversary! Furmano's converts Retail Grocery Tomato Line to lower sodium, same great taste, by using 100% Natural Lower Sodium Sea Salt. Furmano's launches first in industry full-line of beans in shelf stable pouches. Chad Geise succeeds Dave Geise as President. Celebrating our 95th Anniversary 1921 -2016. Furmano's is deeply rooted in the heart of Pennsylvania's rich, fertile farmland. Since 1921, family-owned Furmano's has produced delicious, wholesome tomatoes, beans and vegetables and is still guided by the original values that made the Furmano's name synonymous with quality. The care and dedication with which Furmano's products are sourced and processed grows with each generation. 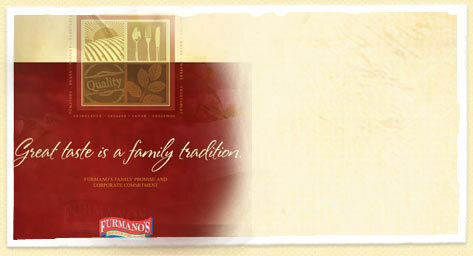 Furmano's heritage of excellence is evident in our stewardship of the land as well as in the products we produce. Using environmentally friendly techniques, Furmano's captures the farm-grown flavor, texture and color of food—preserving nature's abundance for you. Warm greetings to you from Furmano's. 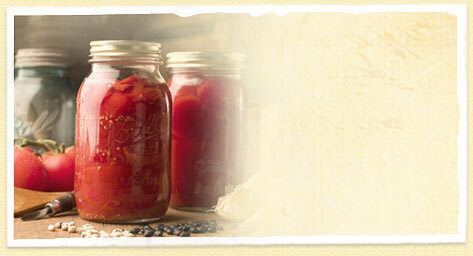 Here in the heart of Pennsylvania farmland, my great grandfather began canning tomatoes in 1921. Ever since he took his first tomatoes to market, the Furmano's brand has been synonymous with superior quality, great tasting beans and tomatoes. We've come a long way from the days when he and my great grandmother used a family recipe to prepare the tomatoes in a copper kettle on their kitchen stove. But, we've never strayed from the high standards that my great grandfather, J.W. Furman set. We're proud of that. Today, we're still a family run business, although our "family" now includes hundreds of employees. We pride ourselves on our product quality and flexibility to meet our customer’s needs. We serve customers in multiple sectors including foodservice, retail, manufacturing, export, and branded and private label. We offer a large selection of great tasting and healthy bean and tomato products that are locally packed. We formulate ready to use recipes for sauces, pasta, pizza, soups, salads, chili, appetizers, vegetarian, beef, fish, chicken and pork for all tastes. We’ve even created a premium line of “family favorites” for foodservice customers that we’re sure your “family” will enjoy as much as ours does. Furmano’s combines state-of-the-art agricultural and manufacturing technology with a kinship to the earth that comes from four generations of farming in this region. We still grow most of our tomatoes and vegetables right here in the fertile Susquehanna River Valley, and we process millions of cases of beans and tomatoes at our plant in Northumberland, PA.
Holding true to our heritage, we continue to thank God daily for the abundant blessings we've enjoyed over the years. As stewards of the land we work, we are sensitive to ecological concerns. We employ farming techniques that are environmentally friendly as well as safe for the surrounding community. Many of us grew up and still live in the area, so we strive to be a good corporate citizen and a positive contributor. I welcome you to try our quality beans and tomatoes and experience the difference made by generations of excellence. About Us - Furmano's is deeply rooted in the heart of Pennsylvania's rich, fertile farmland. Since 1921, family-owned Furmano's has produced delicious, wholesome tomatoes, beans and vegetables and is still guided by the original values that made the Furmano's name synonymous with quality. 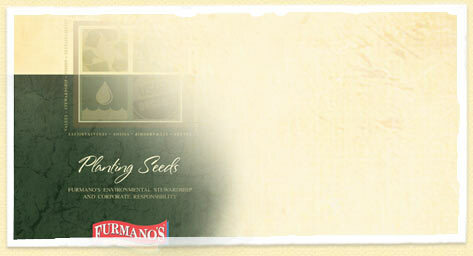 The care and dedication with which Furmano's products are sourced and processed grows with each generation. 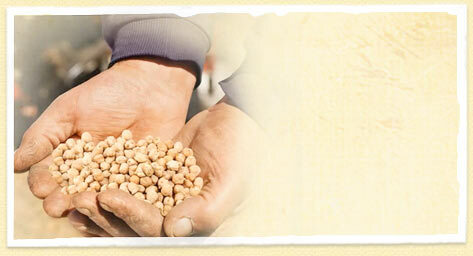 Furmano's heritage of excellence is evident in our stewardship of the land as well as in the products we produce. Using environmentally friendly techniques, Furmano's captures the farm-grown flavor, texture and color of food—preserving nature's abundance for you.